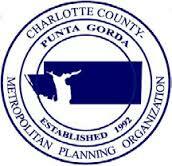 The Charlotte County-Punta Gorda MPO is responsible for Transportation Disadvantaged (TD) planning activities including providing staff support to the Charlotte County Local Coordinating Board (LCB). The LCB provides direction, information, and advice to the Community Transportation Coordinator (CTC). Charlotte County Transit has provided transit services since 1984 and is the CTC for Charlotte County.